Bratislava, Slovakia – April 4, 2019 – Resco, the leading provider of mobile solutions for Microsoft Dynamics 365 and Salesforce, has today released the Spring Update 2019 of Resco Inspections. This release is yet another step on Resco’s journey to create a truly comprehensive mobile solution that helps companies manage any inspection process and integrates natively with Microsoft Dynamics 365 and Salesforce. 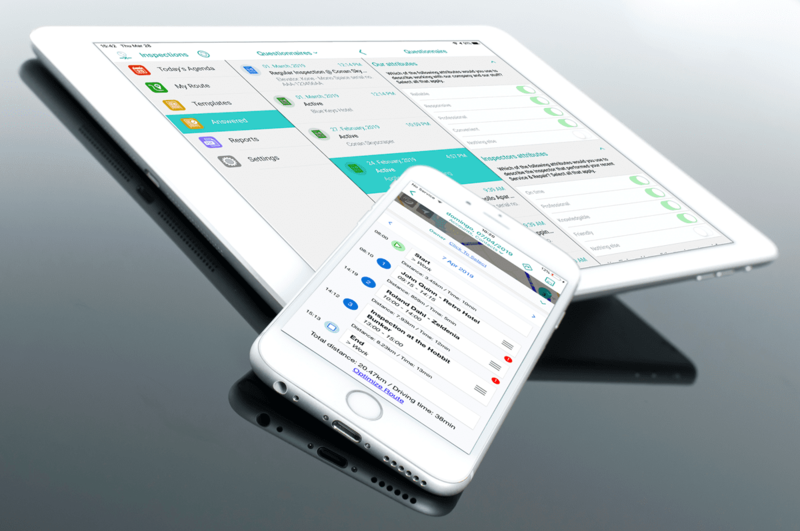 On top of 48 new capabilities introduced in Resco’s Mobile Business Apps platform, the Spring Update also delivers new functionality to all four elements of Resco Inspections. Partners and customers can now take advantage of the new mobile app and enhanced Designer, Scheduler and Analyst – delivering better usability, faster questionnaire building, simplified scheduling, clear-cut insights into collected data and more. “We believe that for our partners and customers, Resco Inspections brings an exciting opportunity to introduce efficiency enabled by mobile technologies to new areas of their business. And as we keep adding to its features and capabilities, they are able to utilize Resco Inspections across a growing variety of industries and use cases,” explained Juraj Mojik, Product Manager at Resco. Noticeable at first sight, the Resco Inspections app underwent a top to bottom overhaul. New color scheme, enhanced forms, simplified list views and re-worked business logic – all help to provide a more streamlined user experience to the staff performing inspections in the field. Starting right at the new Home screen, where the user’s attention is immediately directed to the essential aspects of the job at hand. Furthermore, the mobile project of this redesigned application is available in Woodford. System admins therefore don’t need to start from scratch when creating customized inspection apps but can use Resco’s default project as their stepping stone. The addition of Snippets to Resco Inspections’ Designer offers an effortless way of reusing various questionnaire parts. Snippets may consist of individual questions or entire question groups, including related business logic. They can be built from the ground up or copied from existing questionnaires. For example, many questionnaires start with the same questions, such as Customer, Contact’s Name and Address, etc. These can be copied into the Snippet library and each time a new questionnaire is created, they can be quickly pasted without the need to re-create every question one by one, speeding up the building process. What else is new in Resco Inspections? The Spring Update 2019 of Resco Inspections is available to all partners and customers from April 4, 2019. Download the new version of Woodford here.